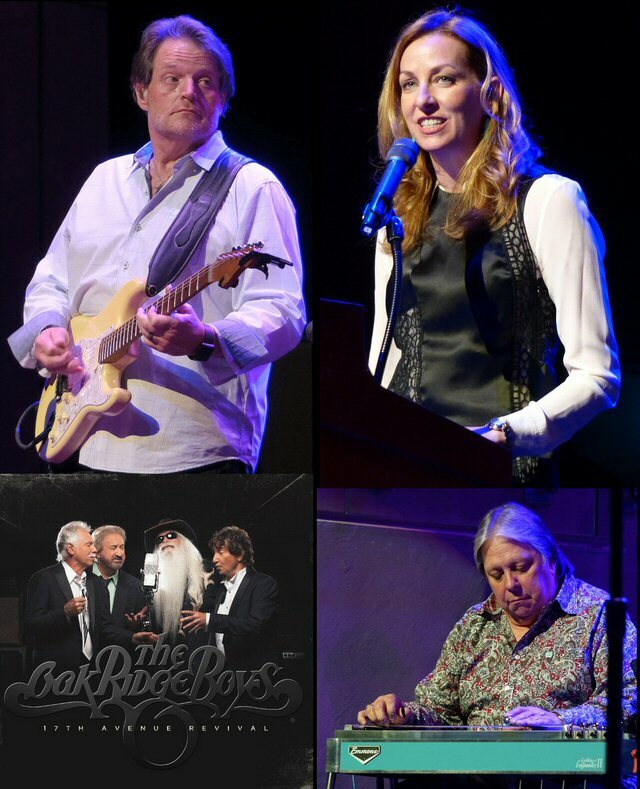 Country music legends The Oak Ridge Boys were the featured artists at this year’s Country Music Hall of Fame “Big Gig” held at the CMA Theater on Monday, March 05, 2018 as a private concert for the organization’s membership. The quartet were in the midst of a busy week and promotional push for their upcoming 17th Avenue Revival recorded just up the road at the historic Studio A in Nashville. 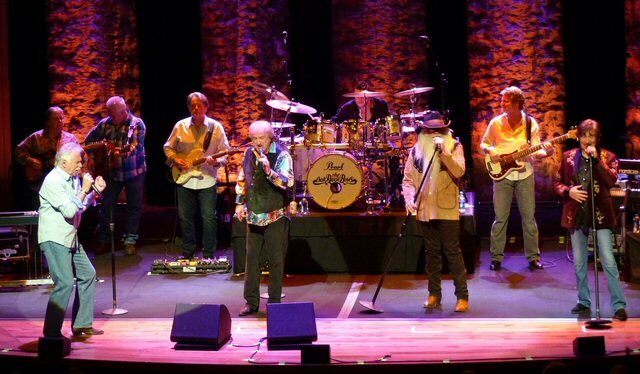 The Oak Ridge Boys Live at the CMA Theater. Prior to the performance Lisa Davis Purcell – vice president of development for the Country Music Hall of Fame and Museum – took to the microphone to thank the supporters and artists before running off a list of the C.M.H.OF.’s recent notable accomplishments that included: in the last year the C.M.H.OF. achieved over one million visitors; twelve new exhibits were opened; and new initiatives offering free admission to the surrounding region’s youth were put in place or expanded. In front of an at-capacity, standing-room-only crowd The Oak Ridge Boys electrified with hit after hit, and then introduced their new album. The lead single “Brand New Star” was described as the happiest song ever about someone dying. The uplifting track stands up since we heard it twice at a taping of “Larry’s Country Diner” a ways back last fall. 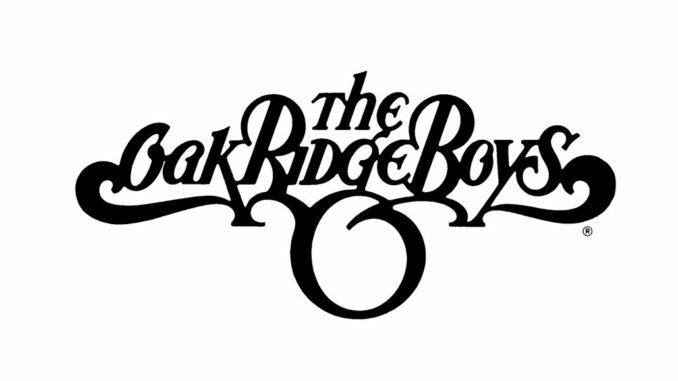 Even further into the annals of the past The Oak Ridge Boys proved at the “Big Gig” concert that they have a sense of humor or a respect for the history when they announced that the new record would be available in all formats – including cassette tape and “Edison” cylinder. Mid-set they presented one such recording to Lisa Davis Purcell for the museum’s collection. 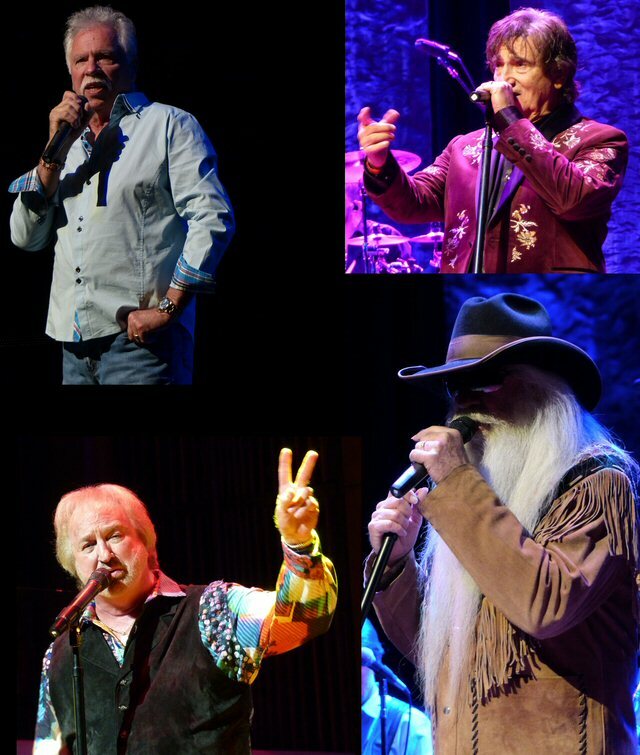 From T/L: Joe Bonsall, Richard Sterban, William Lee Golden and Duane Allen. “It’s exciting to me that our manager, Jim Halsey, and Logan Rogers, President of Lightning Rod Records, were able to envision the idea of releasing the new album, all or in part, on virtually every format of commercial recording technology since the Edison cylinder – and to find people to record ‘Brand New Star’ on cylinder,” said Duane Allen. The long and the short of it is that this was another fine night in Music City that took on more importance when it was revealed that songwriter Dallas Frazier was in attendance. He wrote “Elvira” as the title track to a record he released in 1966 that took its inspiration from an East Nashville street name. Country Music Hall of Famers are right at home in Nashville. The Oak Ridge Boys dropped their version of “Elvira” on the world in March of 1981 and it would quickly become the group’s fourth no. 1 country hit. The song also peaked at No. 5 on the Billboard Hot 100 that July and August. The boys reported that Frazier would be watching the group perform this song live for the first time on this night in Nashville so when it was slotted in as the first of a two-song encore the joyous revival was complete as fans stood up and happily sung along to the very familiar number. Another fun new track that was well-received on this night was “Pray to Jesus” with the turn around being ‘but, Play the Lotto’. Even if those type of abundant winnings are beyond the reach of most, all those in attendance were offered complimentary high-quality 11×17 Hatch Show Print posters of the evening’s “Big Gig” when they exited the doors back onto Fifth and Demonbruen. 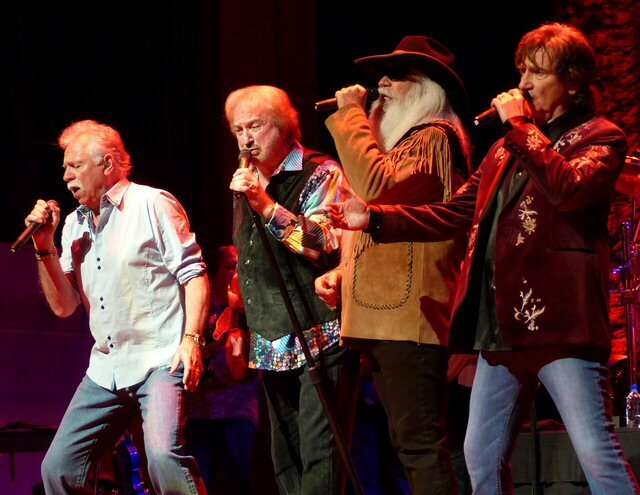 As busy of a week that they had in town The Oak Ridge Boys were also gearing up to take their music on the road once again with their upcoming “Shine A Light Tour”. The outing promises to reflect the messages of their new and unique collection of songs, as well as their all-time greatest hits. When it was announced from the stage that the rest of the year holds around 150 dates for the guys it was clear that these multiple GRAMMY, CMA, ACM and Dove Award winners mean business. Lisa Davis Purcell of the C.M.H.O.F. and more from the show.